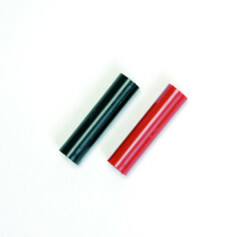 Genepaddles electrodes are paddle-style reusable electrodes suitable for a variety of applications. Genepaddles come in two sizes, each size consisting of a pair of electrodes. The Genepaddles feature either rectangular 3 x 5 mm paddles or 5 x 7 mm paddles. 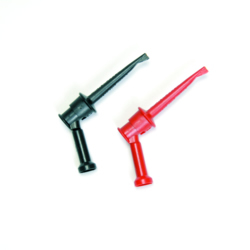 These two sizes are designed to target various electroporation areas. 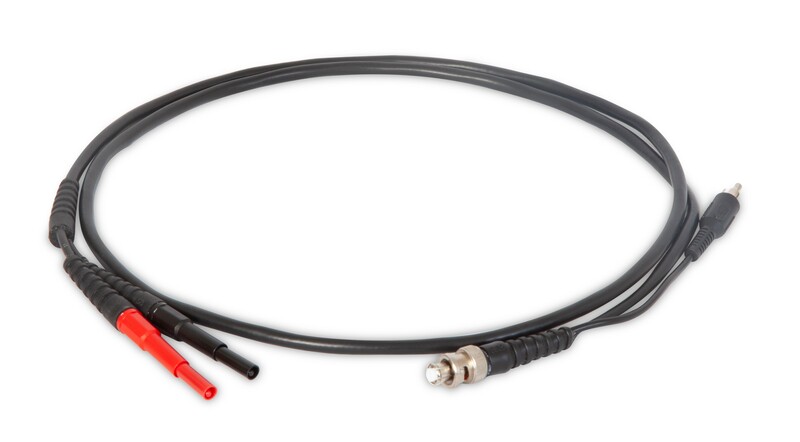 These electrodes are connected to either micrograbber connection cables or square post adaptors and connection cables which interface with our ECM 830, ECM 2001+, ECM 2001, or Gemini X2 pulse generators. The Genepaddles are positioned in parallel at a predetermined gap within a tissue using the Genetrode Holder. Genepaddles may be cleaned with a mild detergent and sterilized with 70% ethanol or ethylene oxide. 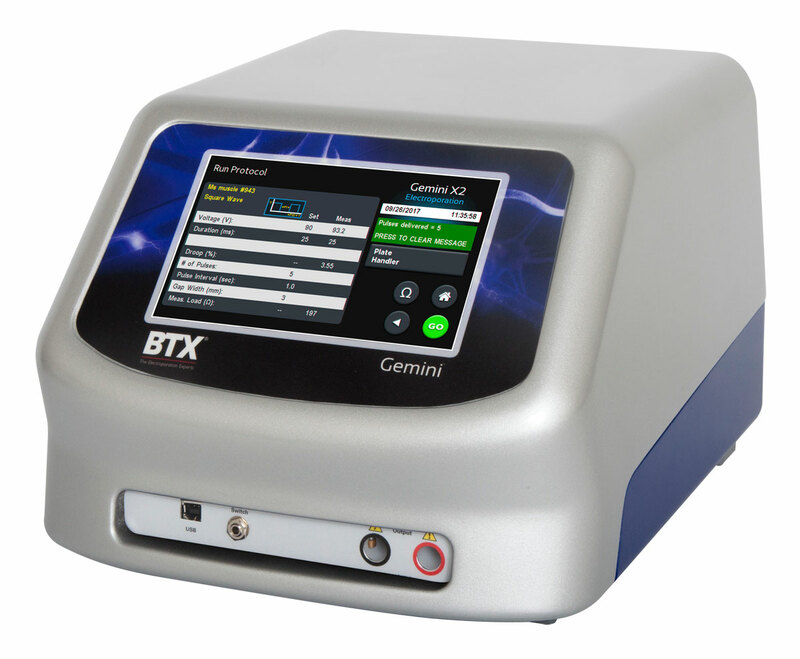 Properly maintained Genepaddles have a life span of approximately 1500+ pulses, and are compatible with most BTX Electroporation Systems. Genepaddles were designed for in vivo applications and In Vitro Embryo Gene Delivery (IVEGD) in mouse embryo. 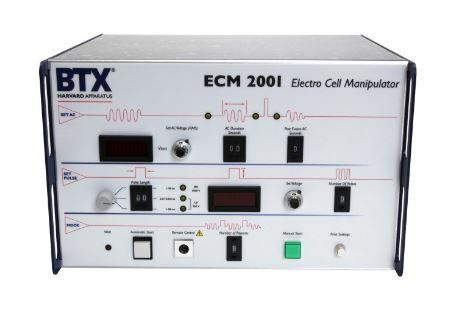 The electrodes are placed anterior and posterior to the embryo following injection of the molecule of interest, and an electroporation pulse is delivered using a BTX Electroporation System, such as the ECM 830 and ECM 2001+. The electric field introduced by the Genepaddles causes transient pores to form in the cells of tissue, allowing uptake and expression of gene in muscle tissue to target the function of these genes on muscle regeneration Toschi1. The 3 x 5 mm Genepaddle-style electrode were used with a BTX square wave pulse generator to deliver DNA to chick brain slice tissue to study glial cell migration and neurogenesis King3. The success of this method demonstrates the potential of electroporation to transfect different types of tissues or embryos besides the classical avian embryo. 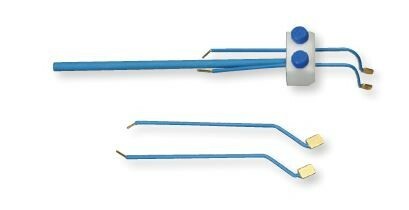 The use of these paddle-style electrodes for in vivo applications targeting a variety of tissues including muscle and brain tissues. The over expression of Hsp70 protein in mouse skeletal muscle by transfection was found to play a role in the regulation of vasopressin and TNF during muscle regeneration Moresi2. 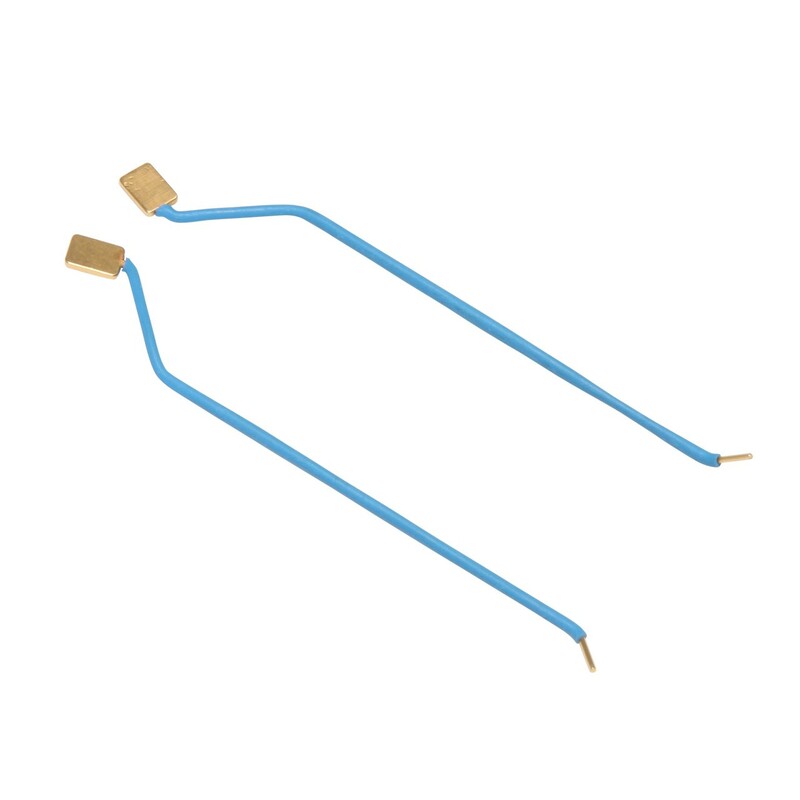 Paddle-style electrodes have also been used for in vivo applications. Miyasaka6 used an electrode to deliver DNA in vivo into the cerebral cortical anlage of E15 rat embryos. He demonstrated high-efficiency gene transfer into intact neural tissue using electroporation. 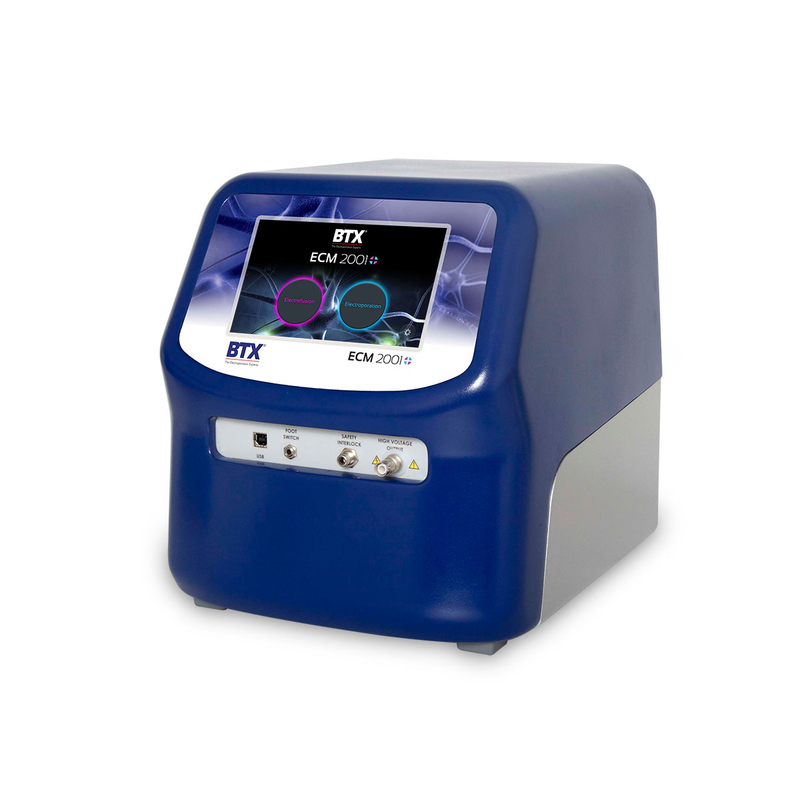 Electroporation has the benefits of being less labor-intensive and more economical than competitive methods for in vivo gene transfer, such as viral methods and ballistics. Electroporation also produces greater viability and efficiency than competitive methods for in vivo gene transfer. 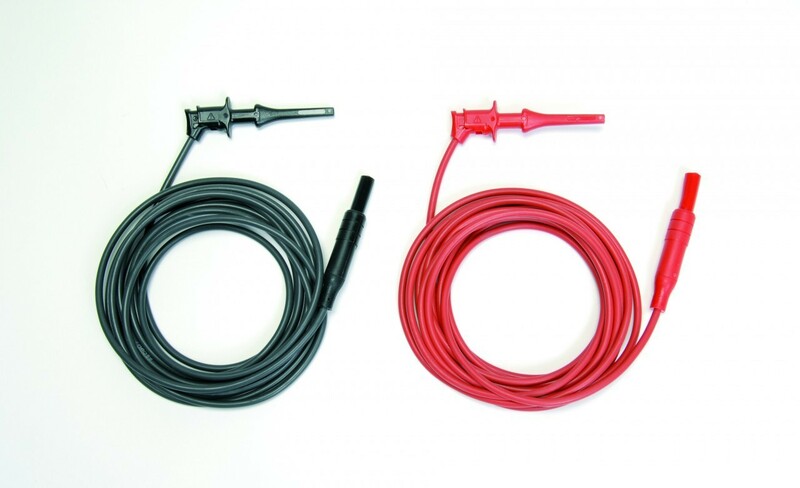 In this example, the Gemini X2 generator is connected using the sequence of cables and adapters illustrated below, then connected to Genepaddles Electrodes. In this example, the ECM 2001+ generator is connected using the sequence of cables and adapters illustrated below, then connected to the Genepaddles Electrodes. 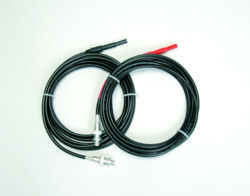 In this example, the Legacy ECM 2001 generator is connected to the Genepaddles Electrodes using the sequence of cables and adapters illustrated below. 1. Toschi et al. Skeletal Muscle Regeneration in mice is stimulated by local overexpression of Via-Vasopressin receptor. Molecular Endocrinology. Aug 2011, 2011-1049. 2. Moresi et al. Modulation of caspase activity regulates skeletal muscle regeneration and function in response to vasopressin and tumor necrosis factor. PLoS ONE. 4(5):e5570.doi 10.137/journal .pone May 2009. 3. King et al. Glial migratory streams in the developing hindbrain: A slice culture approach. J. Neuroscience Methods. Feb 2009 177(1); 30-43. 4. Schwarzkopf et al. Muscle cachexia is regulated by a p53-PW1/Peg3-dependent pathway. Genes and Development. 20:3440-3452 2006.